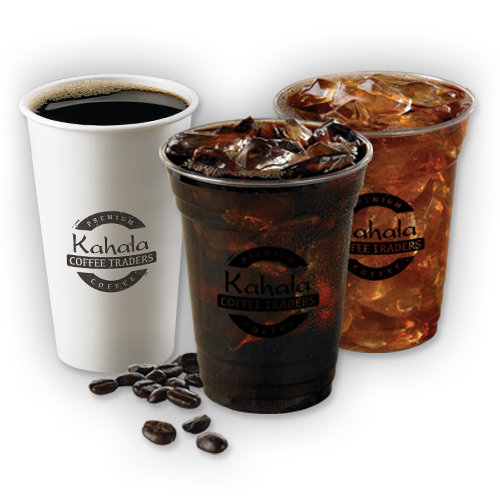 Choose from our Kauai blend or our dark roast, brewed fresh all day. Certified Organic and Fair Trade Certified. Freshly brewed Kauai blend served chilled over ice. Freshly brewed black tea served chilled over ice. Freshly brewed pomegranate green tea served chilled over ice. Spiced chai tea mixed with milk. Available hot or iced. Choose from a variety of hot tea flavors. Creamy hot chocolate topped with whipped cream.